ICD-10 will be rolled out on Oct. 1, 2015, according to numerous references in the proposed hospital inpatient payment rule posted on April 30. After Oct. 1, 2015, "we will collect non-electronic health record-based quality measure data coded only in ICD-10-CM/PCS," CMS states in the proposed rule. "We believe that October 1, 2015, looks to be the new official implementation date for ICD-10 based on our initial understanding of the regulation," a release from the Workgroup for Electronic Data Interchange (WEDI). "It is not uncommon for CMS to use other unrelated regulations to address changing compliance dates, as this same approach was taken last time when ICD-10 was delayed." No revisions to the ICD-9-CM diagnosis or procedure codes were proposed in the rule. 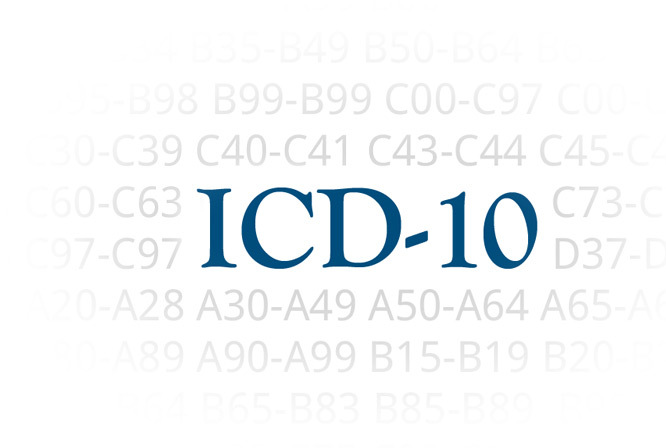 In fact, all the index and tabular proposals made during the March ICD-10 Coordination and Maintenance Committee Meeting featured ICD-10 diagnoses — there were no ICD-9 proposals. This further supports that the current code freeze, in advance of the arrival of ICD-10, will remain in effect. Last week, CMS commenhttp://homehealthline.decisionhealth.com/ted publicly for the first time since the delay was announced. "It's been hard for us. I think we were as surprised as all of you," Denise Buenning, deputy director of CMS' Office of E-Health Standards and author of the agency's proposed and final ICD-10 rules, told attendees of the American Health Information Management Association (AHIMA) ICD-10-CM/PCS and Computer-Assisted Coding (CAC) Summit in Washington, D.C., on April 23.